We are happy to announce that our website has been redesigned to offer an enhanced visitor experience. It features improved navigation and updated content that allows you to find all the information you need. Its responsive design is compatible with all devices, such as mobile and tablet. 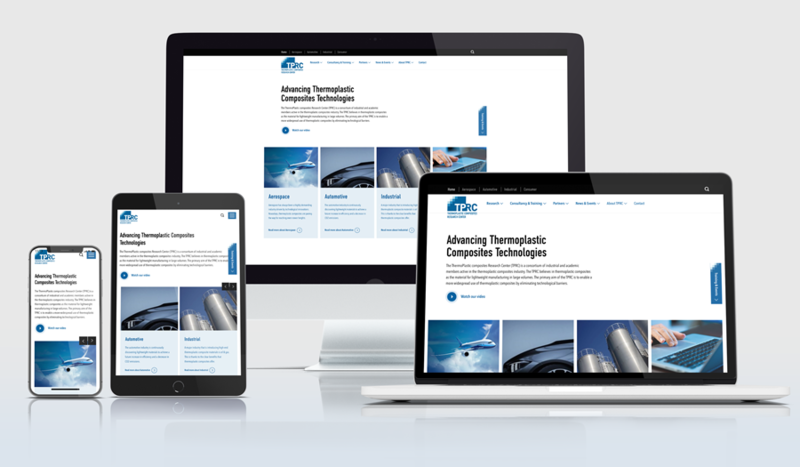 The renewed company website contributes to our goal of enabling a more widespread use of thermoplastic composites worldwide. We'd like to invite you to take a look at our new website. The TPRC is a consortium of industrial and academic members active in the thermoplastic composites industry. We believe in thermoplastic composites as the material of choice for lightweight manufacturing in large volumes.